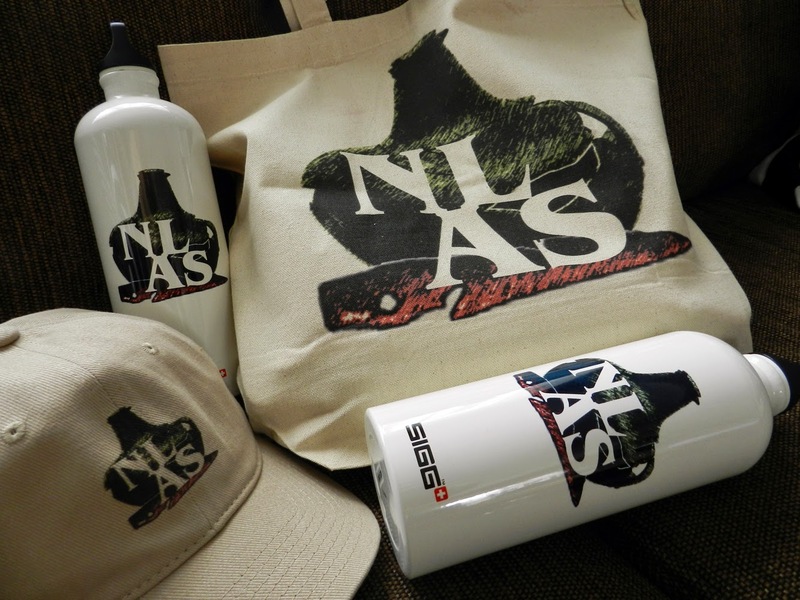 In November the NLAS held their AGM at the Rooms which included two guest lectures. 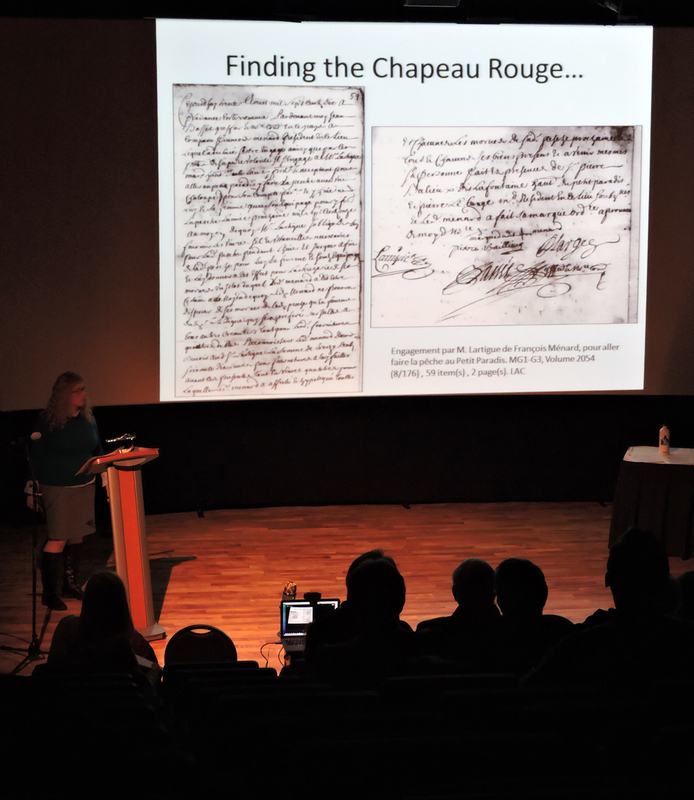 The first was by archaeologist Dr. Amanda Crompton who spoke about her research into understanding the French history of the region of Newfoundland called the Chapeau Rouge. After her lecture the NLAS held a brief AGM updating interested members on the progress of the society. The next day the NLAS sponsored a Coffee & Culture lecture at the Rooms. 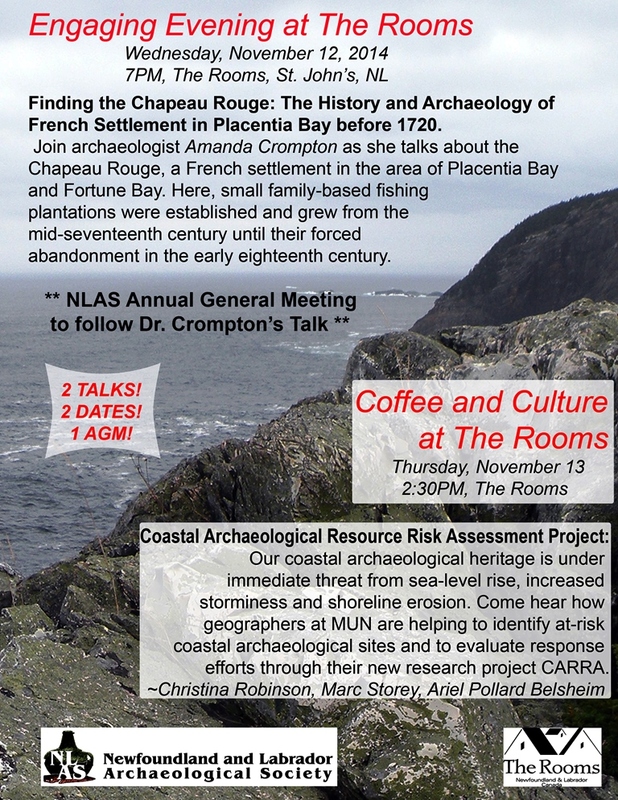 Christina Robinson, Marc Storey, Ariel Belsheim and Dr. Trevor Bell discussed the growing number of coastal archaeological sites in the Province that are threatened by rising sea level, the steps they are taking to document and assess the risk posed to the sites, and suggest some steps that have been taken elsewhere to address the problem. Dr. Crompton discussing her work.